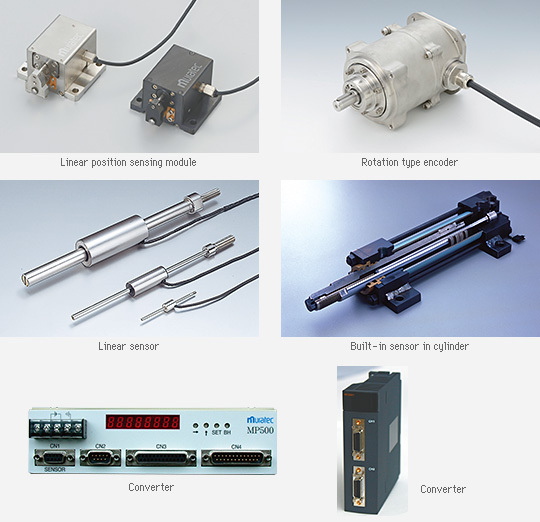 Control & Sensing | Products | MURATEC,MURATA MACHINERY, LTD. This unique sensor uses the principle of magnetic induction, and is composed of a simple sensing element and a transducer. It has extremely high resolution, is compact, and durable under harsh conditions. The special characteristics of the sensor make it suitable for use in situations that were formerly impossible. This device has broad application potential, from industrial machinery to the home. While exploring the possibilities, Muratec continues to develop new control technologies.